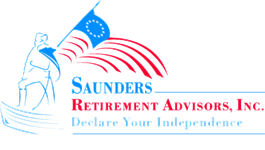 Our Qualifications | Saunders Retirement Advisors, Inc. He is licensed to work with investors who live in Virginia, North Carolina, South Carolina, Florida, New York and Arizona. Mark received his bachelor's degree from Averett University. He went on to earn a Master's of Science Degree from Virginia Commonwealth University and a Master's of Public Administration from the University of Southern California. Before forming Saunders Retirement Advisors in 1985, Mark worked as a registered representative for Wheat First Securities and Dean Witter Reynolds in Richmond. Mark ran Saunders Retirement Advisors as a broker-dealer until 2012. Now he uses Investacorp in Miami to provide broker-dealer services for his company. His reason: he'd rather spend time with clients than with regulators. Mark grew up on a farm in Halifax County, VA, but has lived in Richmond since 1975. He has served the community for many years through Rotary, ICFP (The Institute of Certified Financial Planners), IAFP (The International Association of Financial Planners) and FPA (The Financial Planning Association). 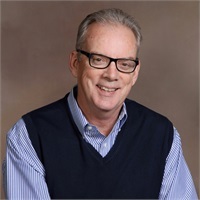 ln his spare time, he enjoys boating on Swift Creek Reservoir with his wife, Linda, watching college football and playing '60s music on his collection of vintage guitars. Check out the background of this investment professional on FINRA's BrokerCheck. Linda Saunders has provided client service, office management, marketing and event planning for our firm since she came on board in 2010. She brings a wealth of corporate executive experience, including over 20 years with Freddie Mac and 3 years with Anthem health insurance. She began her career as a reporter with the Richmond News Leader. 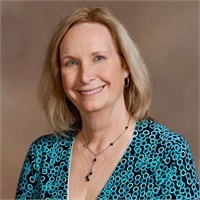 Linda graduated from the University of Richmond with a degree in English and journalism. ln her spare time, she enjoys walking on the trails in Woodlake, swimming, reading, photography and genealogy.